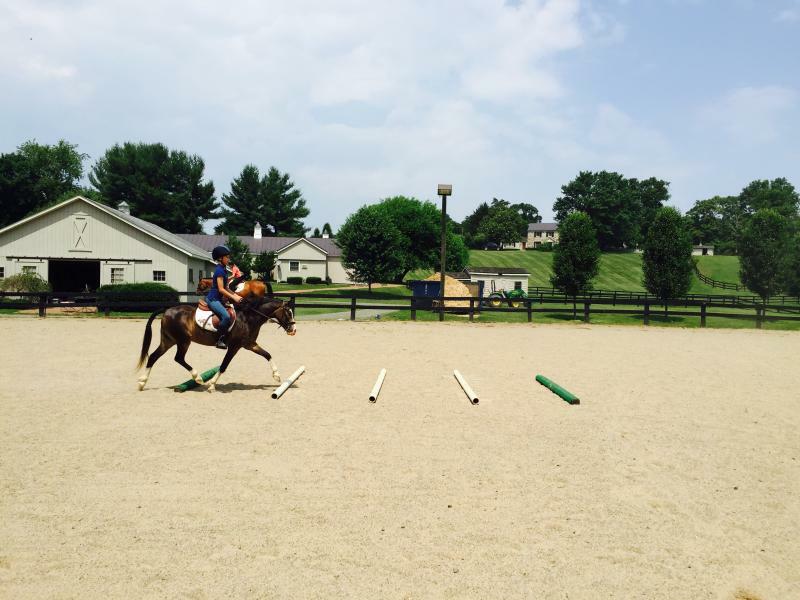 Our Summer Camp is an enjoyable and riding intensive beginner through advanced program. JJF offers a very educationally fun camp and we keep it small with a maximum of 18 campers per session. We are extremely hands on and we teach the children everything from A-Z horse care in a very fun way. 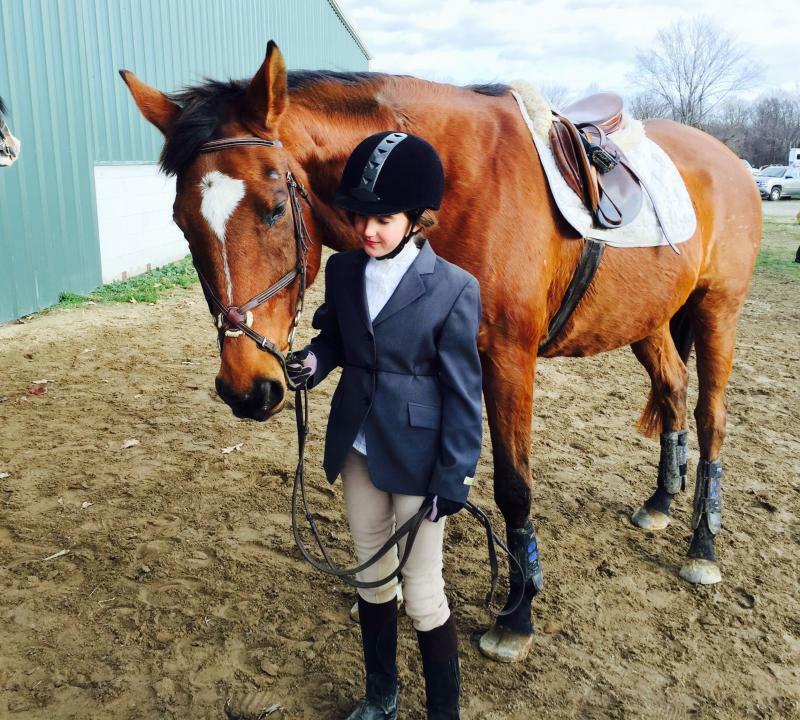 There is a lot of quality ride time and under saddle lessons, grooming/bathing the horses, feeding, learning parts of the horse, conformation faults and weaknesses, vet care, hoof care, horsy games, crafts etc. For the more experienced riders we focus on fine tuning their flat work, jumping and course work in the ring and across country and their equitation under saddle. We host a schooling show on Friday for all of the campers. Each camper is assigned a horse for the week and they learn to care for it as if it were their own! For the younger campers we have an aid pair up and assist with everything. There are a number of prizes and awards each camper will earn through out the week. A fabulously confidence building week! Children are to bring a boxed lunch each day with bottle of water, a change of clothes, jodphers for riding, paddock boots, an approved helmet, bathing suit/towel & tennis shoes. Our summer camps book up very quickly so be sure to register early! Below are the prices/options and quantities per month. No early drop off, late pick up can be arranged for additional cost. Email for registration form and book now to secure spot! 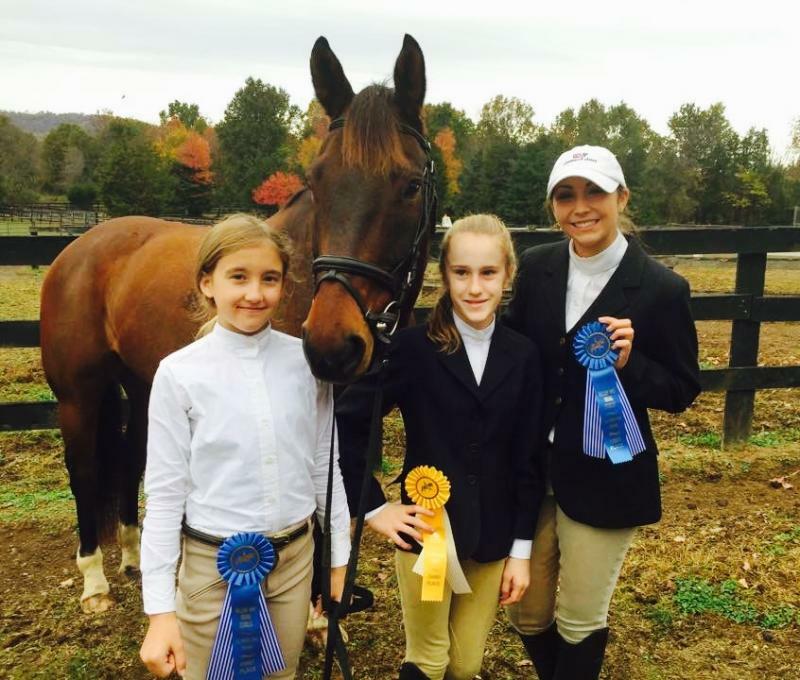 A-Z horsecare, parts of the horse, showmanship, fun horsey games & crafts, ring work, xcountry riding, trail rides, blackberry picking, supervised swimming in beautiful pool, prizes/awards, pizza on Friday and more!